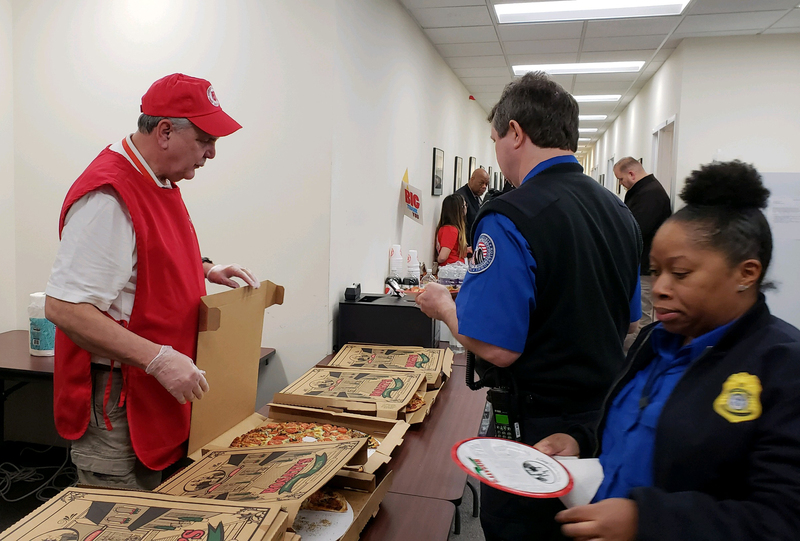 The Salvation Army Metropolitan Division is providing meals for all working TSA agents for the duration of the government shutdown, during all three shifts at both O’Hare and Midway airports. Meals at O’Hare will start Friday afternoon; meals at Midway will begin Saturday morning. Salvation Army staff and volunteers will prepare and serve hot meals for the first two shifts and provide bagged meals for the overnight crews. Typical meals include spaghetti, casseroles, burgers/hot dogs, chicken and rice, and more. Between the two airports, the Army is expected to serve approximately 1,400 meals per day.